The results are in and the winners announced here - https://www.facebook.com/BritishAwardsForStorytellingExcellencebase. Congratulations to all the winners and to everyone who took part. Thanks especially to Peter Chand and his dedicated colleagues for organising this event and I look forward to more in the coming years. Storytelling was the big winner on the night. Get out and make 2013 an even more successful year. Support your storytellers and get involved in a workshop or performance near you. For those in Scotland, you can go to http://www.scottishstorytellingcentre.co.uk for lots of information on upcoming storytelling events and performances, including the annual International Storytelling Festival in Edinburgh in October. This marks the first of what I hope will be a monthly roundup of some of the events and stories going on around the world of storytelling. Each article will provide clickable links to take you to the original story where you can learn more. Festival news comes first with a preview of the 2012 Oklahoma City Storytelling Festival (6-8 September) by Brandy McDonnell . This year's festival features Irish storyteller Clare Murphy, Canada's Steve Poltz and Dolores Hydock from Alabama. Even if this news comes late, it's worth noting and becoming a follower of Brandy's blog. During the same weekend, the Southern Ohio Storytelling Arts and Music Festival takes place in Yoctangee Park. This year's festival features stalwarts such as Bil Lep, Carmen Deedy, Donald Davis, Octavia Sexton and Kevin Coleman. Again, if this news comes late, make a note for next year. Of course, you won't want to miss the 40th International Storytelling Festival in Jonesboro, Tennessee. Taking place 5-7 October, this the 'grandmother' of all storytelling festivals in the US. This year's festival features a star-studded list including old favourites like Jay O'Callahan, John McCutcheon, Judith Black, Gay Ducey, and Laura Simms as well as newer voices like Michael Harvey, Hannah Harvey, Kim and Reggie Harris, Alton Chung, and Rex Ellis. Attending this festival is a life-changing event. Don't miss it. And for fans in the UK, there's the 2012 International Storytelling Festival in Edinburgh Scotland. This is a 10-day event (19-28th October), this year focusing on the Brothers Grimm and the old master storytellers of Europe. The Festival invites storytellers from around the world as well as local Scottish raconteurs. If past years are anything to go by, this year's Festival will charm, entertain and absolutely inspire you. There are literally hundreds if not thousands of storytelling festivals, workshop and other events taking place around the globe. Obviously, there's just not space to advertise them all, but if you have a favourite storytelling festival drop me a line. I'd love to hear about it. Finally, I'd like to note the passing of two great storytellers, one a journalist and the other a musician and friend. 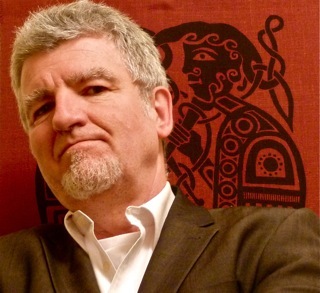 Bob Johnstone, a former journalist with the Toronto Star and the CBC, died last Sunday from cancer. He was 82 years old. Originally from Ireland, Bob left school at 16 and worked a spell as a lumberjack in northern Ontario before finding his true calling. His gift for storytelling found expression on CBC radio in such regular spots like “Today in History” where his sonorous and authoritative tones became well-known. Bob was particularly in his element when telling stories about others and he'll be sadly missed. The other death was that of banjo player and my good friend Jack Glennie who died at the end of August from cancer. He was only 66 years old. I met Jack during the mid-70s in London Ontario where he managed a music store. London was a musical hot spot in those days and nearly every musician in town had bought an instrument from him at one time or another or had one repaired by him. Jack always welcomed you with a smile and a joke and unlike many proprietors always encouraged you to hang around, play some music and share a story. 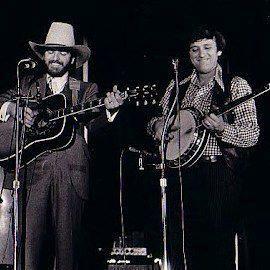 We played together in the late 70s and early 80s in bluegrass band New County Line and the stories of our travels together still bring laughter and warmth to my heart. Jack was a great banjo player, (grand)father, husband and friend. I'll miss him dearly. They say we are not truly dead until they stop telling stories about us. May the stories of your loved ones continue forever. p.s. I've published this on my 'Therapeutic Storytelling' page at All Things Healing (www.allthingshealing.com). Go there to learn more about how stories can offer healing and contribute to our well-being.